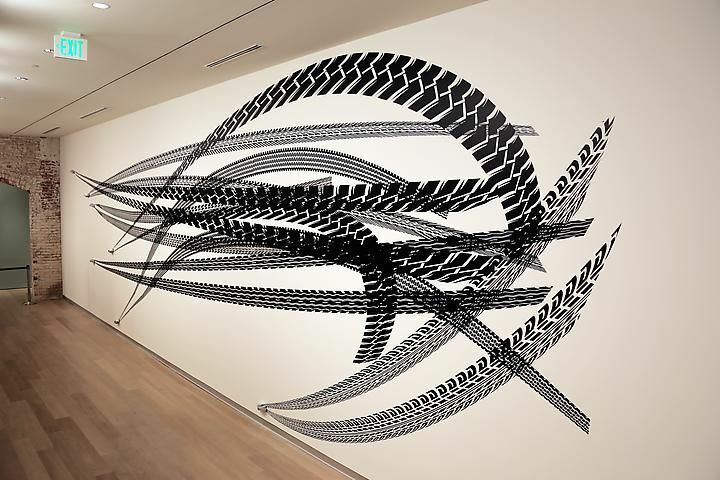 Track Series (Octopus) is part of the continuing Derrapagem series of vinyl installations by Regina Silveira. 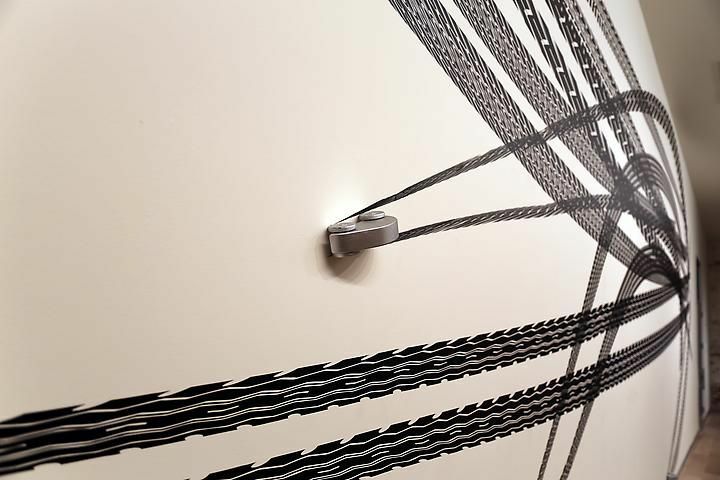 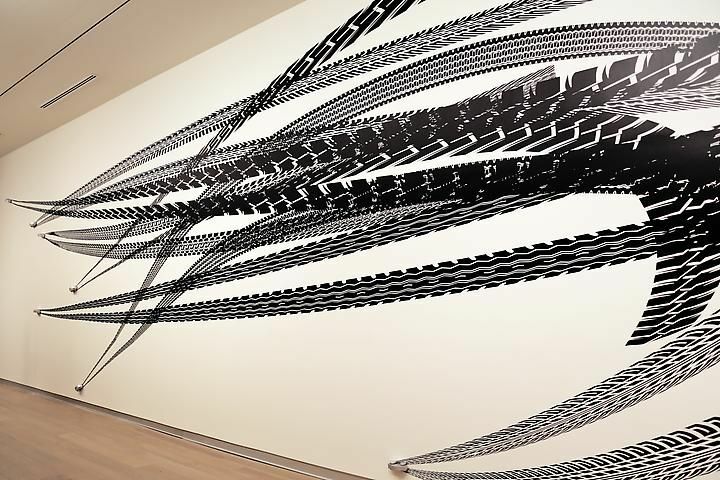 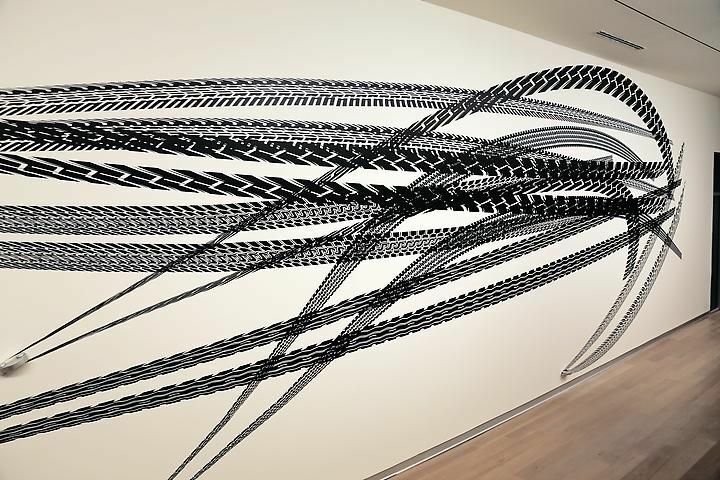 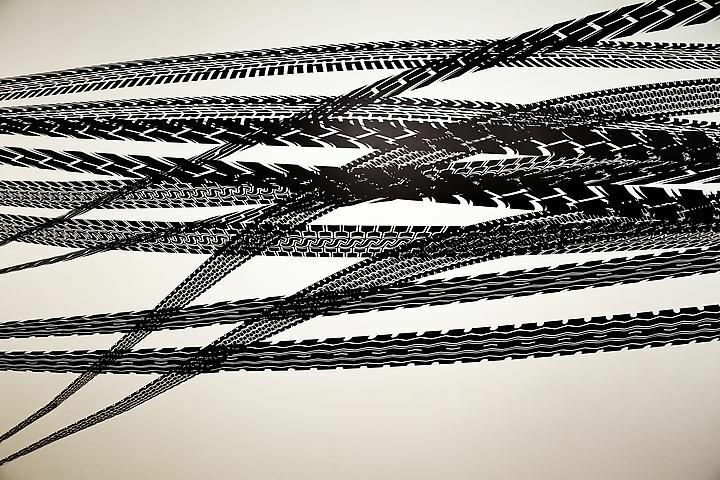 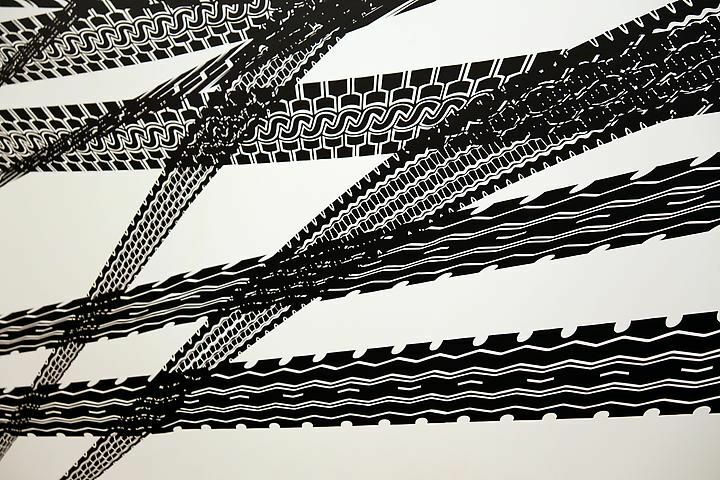 Acclaimed for her playful and exaggerated interpretations of space and scale, Silveira engages the layered graphics of car tire tracks to resemble octopus tentacles reaching the length of the gallery. 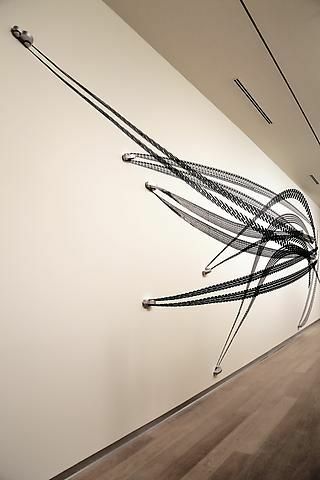 The artwork responds to the elongated, rectangular dimensions of the SCAD gallery, creating dynamic waves of movement that expand across the wall and encompass visitors as they move through this museum space.